4 manufacturers, who had been protected under the shogunal wing, lost this privilege, whereupon their industry collapsed as the Tokugawa Shogunate declined. Rihei, on viewing the rundown Uji plantations, reaffirmed his wish to preserve such beautiful things and in 1860, he bought a 30-are tea plantation with his own money and founded Tsuji Shoten as an extra effort to achieve success. 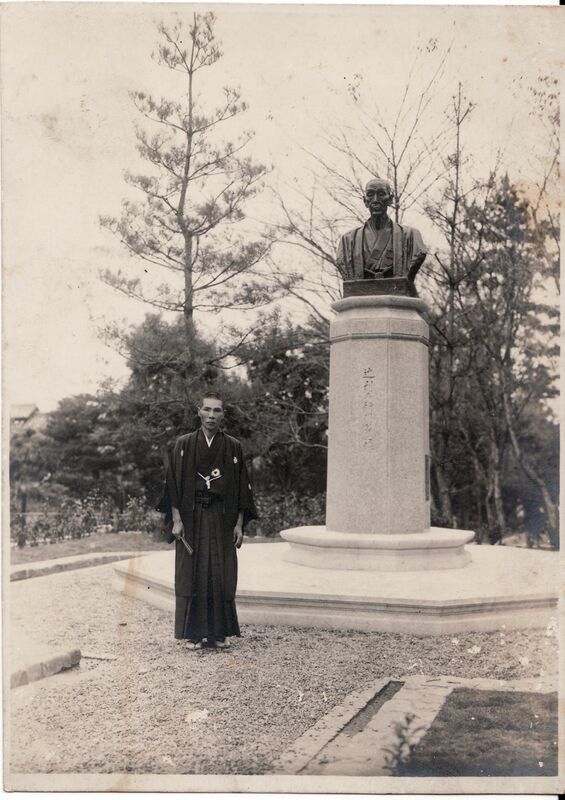 May 24, 1844 Born in Uji, Yamashiro as the first son of Yamazakiya Riemon*. His childhood name was Sensuke, later renamed Rihei when he was grown up and then Riemon in his later life. １８５３ At the age of 9, Sensuke was sent to the merchant in Karasuma Rokkaku as an apprenticeship to engage in pawnbroking and exchange services. 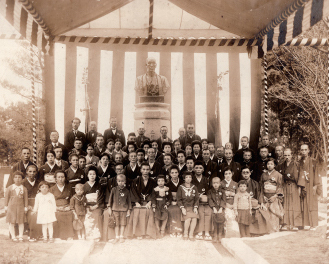 １８５６ At the age of 12, Sensuke moved back to his hometown and helped his parents’ business: farming and a rice cake shop. １８６０ At the age of 17, Rihei put in his own money to buy a 30-are tea plantation and founded Tsuji Shoten, striving even harder for success. 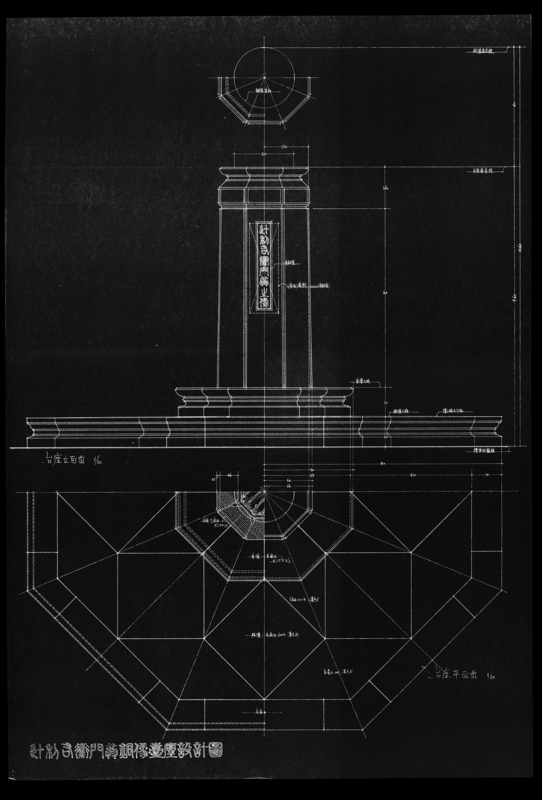 He established his store crest as “ ” (Yamari). 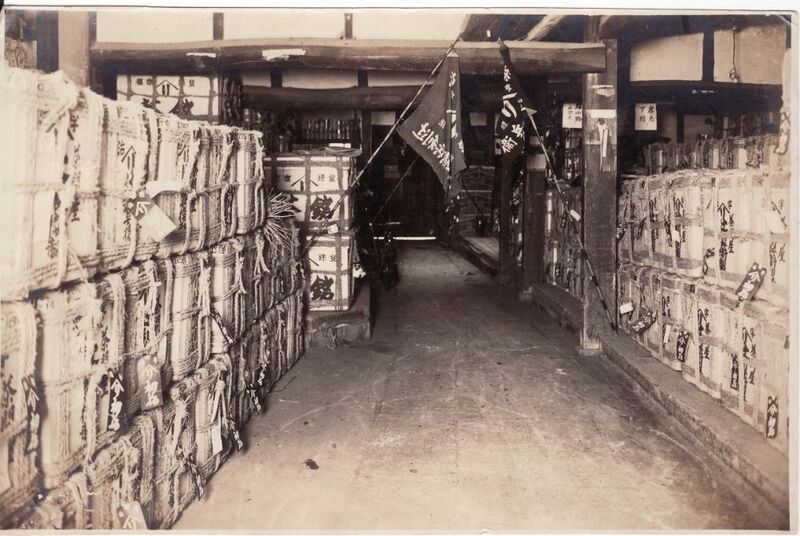 １８６８ Rihei worked very hard to achieve success in upgrading Gyokuro, high-quality green tea, through trial and error. 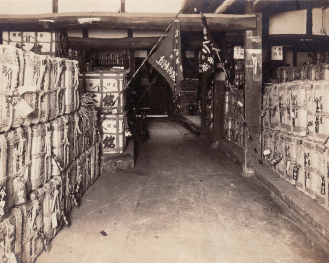 Following his refinement, Gyokuro established itself as a top-quality product. * See Photo 2. １８７２ New Gyokuro tea, “Daimon” launched, said to be the fruit of Rihei’s endeavors and marking a turning point for Tsuji Shoten. At the age of 9, Sensuke was sent to the merchant in Karasuma Rokkaku as an apprenticeship to engage in pawnbroking and exchange services. At the age of 12, Sensuke moved back to his hometown and helped his parents’ business: farming and a rice cake shop. At the age of 17, Rihei put in his own money to buy a 30-are tea plantation and founded Tsuji Shoten, striving even harder for success. 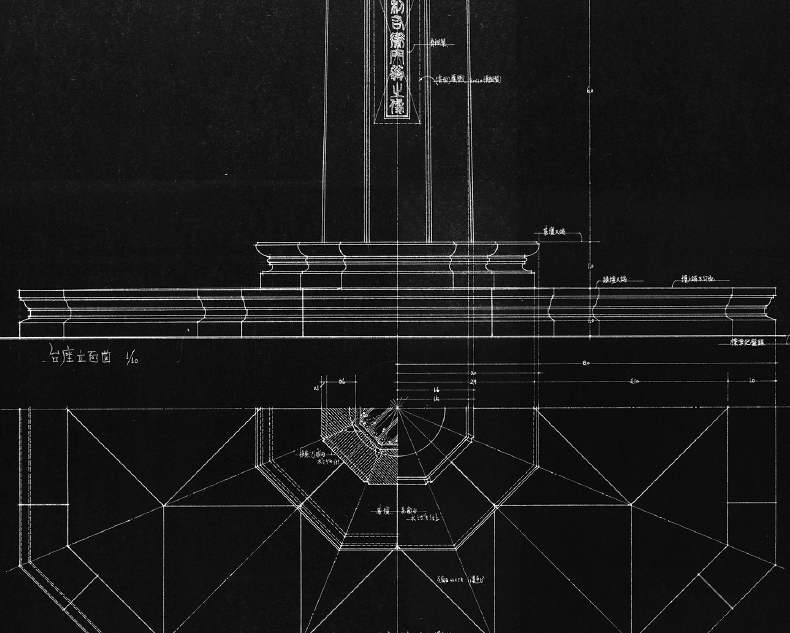 He established his store crest as “ ” (Yamari). Rihei worked very hard to achieve success in upgrading Gyokuro, high-quality green tea, through trial and error. 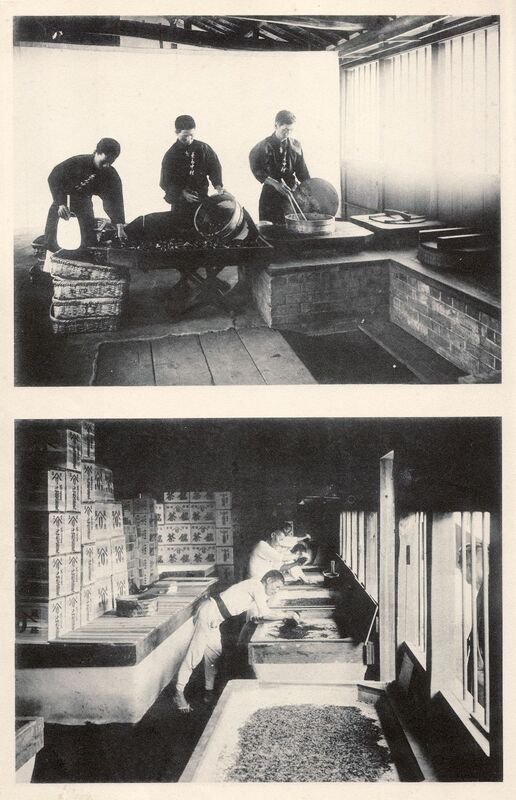 Following his refinement, Gyokuro established itself as a top-quality product. * See Photo 2. New Gyokuro tea, “Daimon” launched, said to be the fruit of Rihei’s endeavors and marking a turning point for Tsuji Shoten. 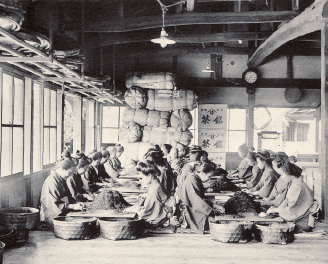 The scene with atmosphere where ladies are sorting tea leaves into red and yellow leaves or destemming by hand and singing tea selection songs during their work. A scene featuring experienced tea artisans, who have been observing Uji tea inherited in an unbroken line, forming and shaping tea leaves with a hand-rolling method. After rolling by hand and kneading well, the tea is kneaded further in a dryer. 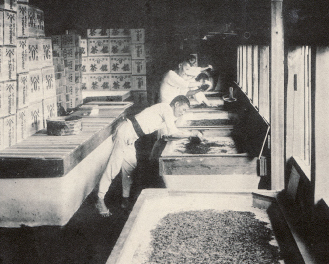 In 1868, after a decade of toil, Rihei successfully improved Gyokuro, earning it recognition as a tea product of the utmost quality. Rihei invented a new form of tea container by placing a tin plate on the inside of the wooden Chabitsu carton, which allowed the tea to be kept in good condition. This helped expand the sales channels of Uji tea of good quality. * Chabitsu is a container used to be kept or carried tea leaves. The current meaning of Chabitsu is different. 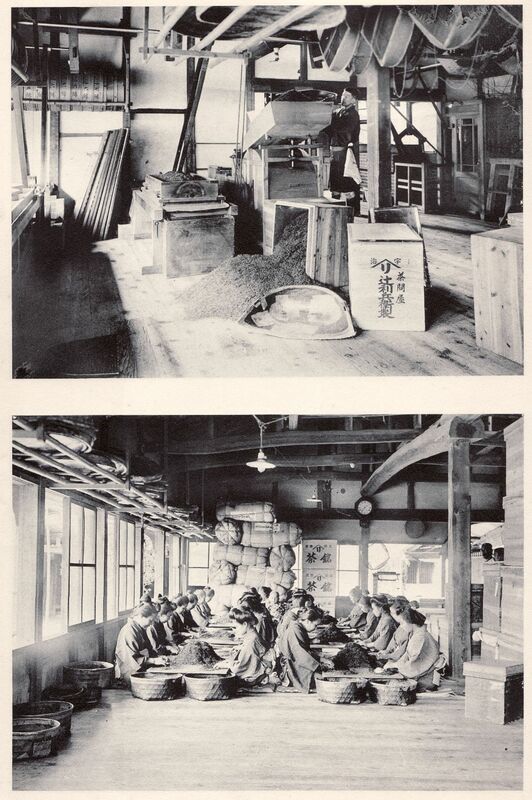 In 1927, Rihei was awarded the Ryokuju hosho (Medal Honor with Green Ribbon), Sixth Rank by the emperor, honoring his efforts to breathe new life into the history of Uji tea by improving the form of Gyokuro to its current style, as well as inventing Chabitsu (tinned tea container). 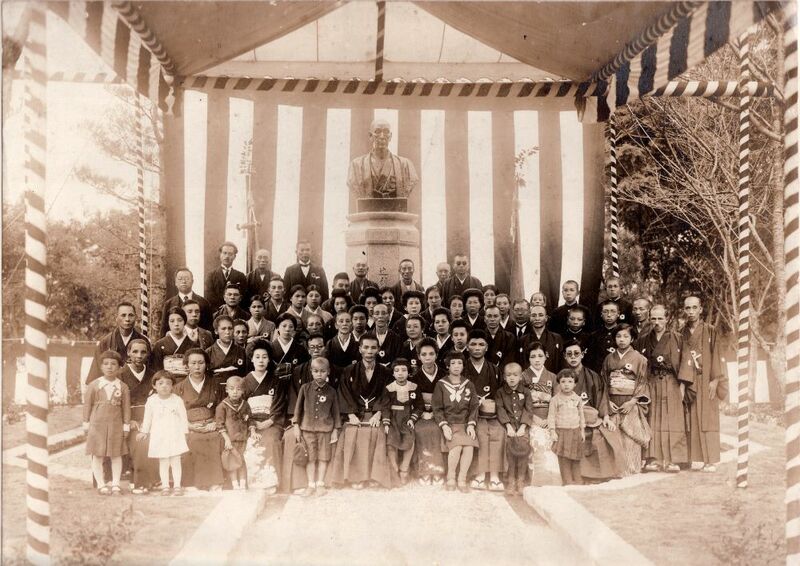 In 1933, his bronze statue was constructed next to the main gate of Byodoin Temple to honor this achievement. 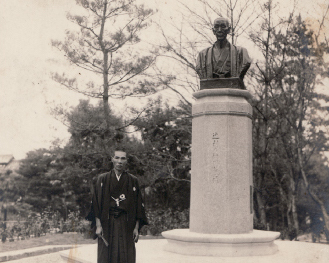 Tsuji Kojiro (later renamed Rihei) succeeded Rihei II, proudly standing next to the bronze statue of Tsuji Sensuke as Rihei I (later renamed Riemon in his later life) when the statue was constructed.